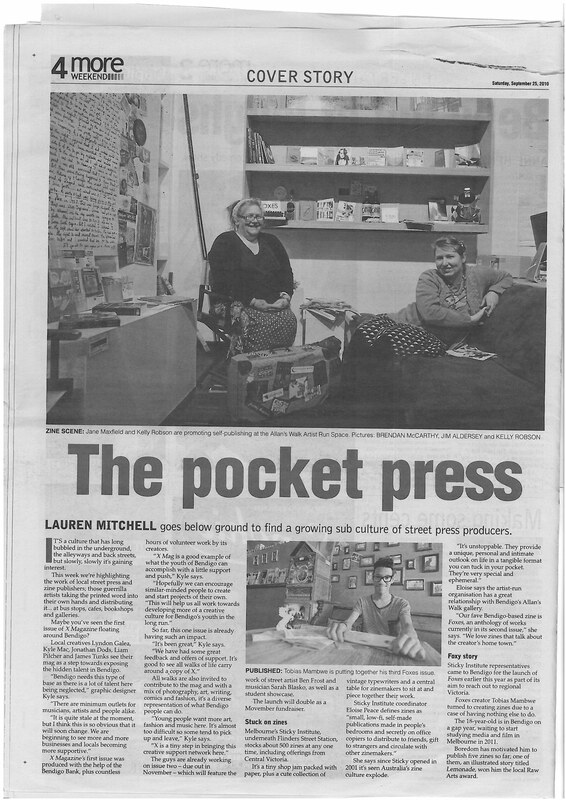 Last month Lauren Mitchell from the Bendigo Advertiser interviewed me for an article she was putting together on zines in the local area. 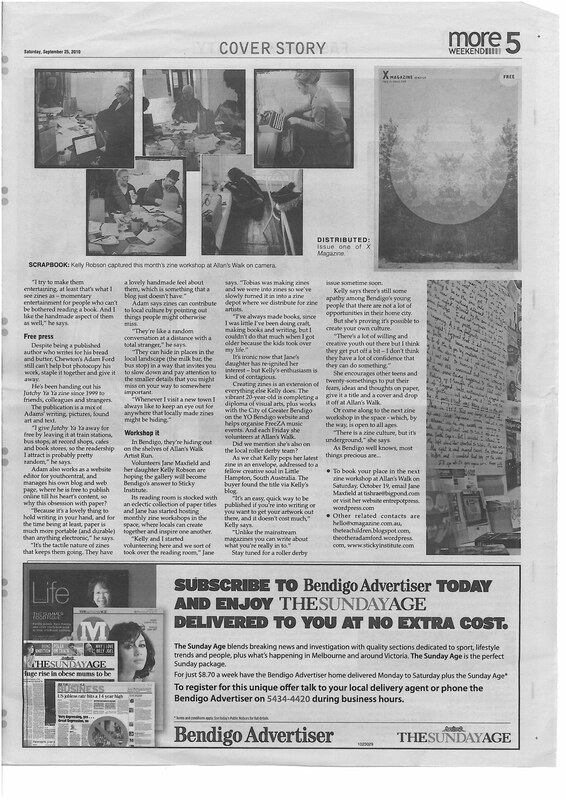 I had a nice little email chat with her and made a mental note to pick up the Addy on the weekend when the story was due to be published. As I said to Lauren in an email after reading the article in question, too often articles about zines have an either bemused or befuddled tone to them, and this one had neither. 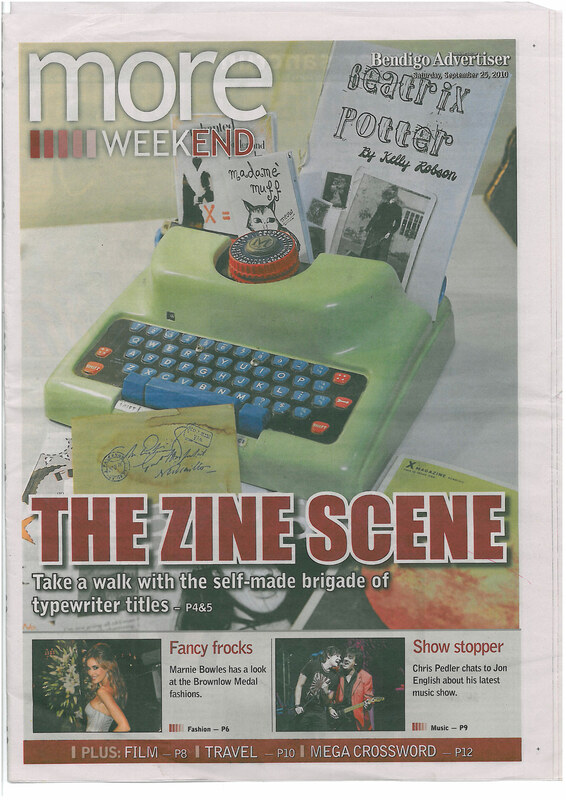 It was a real pleasure to read, and an inspiration too – I’ll be trying very soon to find some time to track down the other zines and zinesters mentioned in the article (links to whom are contained at the end of said article – click on the pics below for readable embiggenation). And while we’re on the topic of zines, witness the latest in a longish line of Jutchy Ya Yas, specifically issue #41, featuring ramblings about twitter, Christmas and apostrophes, as well as guest appearances by Andre Gregory, Ferris Bueller and the Venerable Bede. As always it’s available for online reading or download from the lovely folks at Issuu, or if you want to hold a paper copy in your hand you can usually find them at Sticky in Melbourne, or at Castlemaine train station if you’re passing through. Alternatively you can always leave a comment below and we can talk swaps or even subscriptions if you’re that way inclined.